If you are looking for a secure and reliable e-mail management solution for your business with all the latest features for a reasonable price, and you want it now, then hosted Exchange 2016 from Apps4Rent is right for you. With Apps4Rent, you get the best value out of your hosted Exchange investment in terms of convenience, cost, comfort, and customer service. Resolve your issues anytime with our 24/7 expert support. With over thousands of mailbox migrations under our belt, we offer free assistance to migrate your mailboxes to our Exchange platform with zero downtime and no data loss. You also have the option to host Dedicated Exchange on Azure Cloud. Learn how moving Microsoft Exchange on Azure will benefit you. Sign up for one of our Hosted Exchange plans now! Save costs. Scale without limits. Secure like never before. Hosted Exchange is a subscription service for a powerful messaging software, Microsoft Exchange Server, offered online in a multi-tenant or shared basis by a service provider, with plans that bundle licensing, hosting, malware protection, and support. Users can access emails, contacts, and calendars with mobile devices, tablets, desktops and web browsers. There are significant upfront and ongoing costs involved to implement Microsoft Exchange Server 2016. 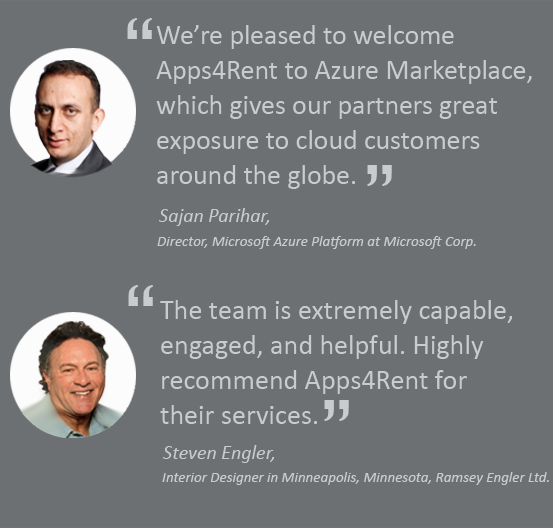 Apps4Rent, a leading provider of Hosted Exchange, SharePoint, and Hyper-V services has already invested in the required infrastructure and achieved economies of scale. Microsoft Exchange server hosting services from Apps4Rent offer significantly lower costs than an in-house server. Further, when comparing hosted Exchange online plans with competitors, check if their plans include unlimited mailbox size, free ActiveSync, and 24/7 phone support. You will find that Apps4Rent’s hosted exchange pricing is among the best in the industry. Apps4Rent’s Microsoft Exchange hosting service plans offer the convenience of pay-as-you-go model with month-to-month billing, no setup fee and no long-term contracts. Sign up today! Within minutes, start managing your business Exchange hosting account through a user-friendly web-based interface. You have choices of plans with options to add Exchange archiving or to obtain a copy of Outlook. You have the option to keep your existing domain provider or purchase a new domain from Apps4Rent. Through the split domain option, some users can be on the hosted Exchange email platform, while others may stay on regular POP3 mail accounts. Whether you are moving from an in-house Exchange or Lotus Notes mail server, an existing Microsoft Exchange hosting provider, or upgrading from POP3 or IMAP accounts, Apps4Rent’s experienced team is there to help you in migrating to our hosted Exchange online services. In today’s business, instant access to e-mail and contacts is priceless. It is not uncommon for employees or IT staff to forget to backup their data. The penalties for such actions can be heavy. Apps4Rent has the reliable infrastructure, support, and best practices that make sure that your data is safe and available all the time from multiple locations, browsers, and e-mail software. We have satisfied customers in over 50 countries who are using our MS Exchange hosting services. When a Connecticut based staffing firm was struggling with peak email loads on its Exchange servers, Apps4Rent migrated the Exchange server cluster to the Azure cloud, a more elastic environment capable of handling highly variable workloads.